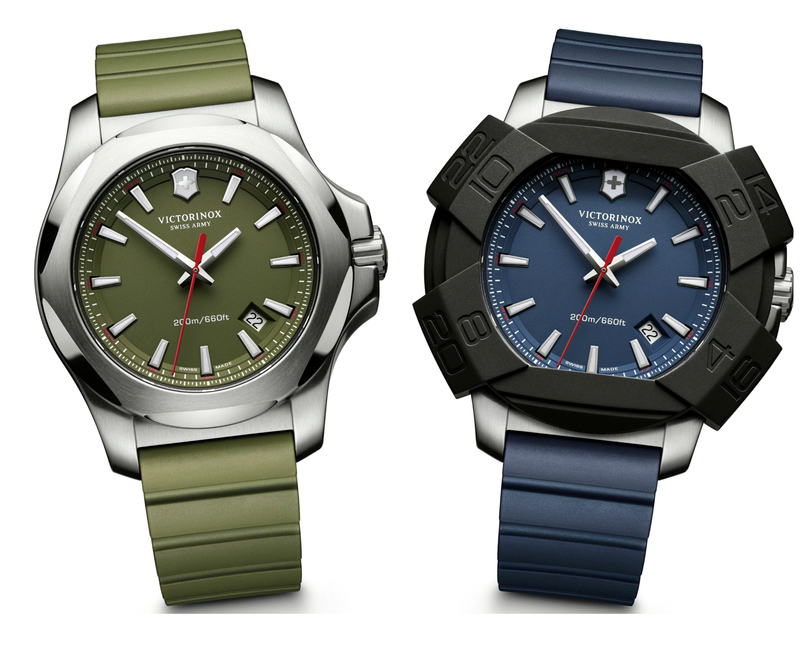 Victorinox marks 130 years with its 'Made to last' watch - I.N.O.X. The 130th anniversary of Victorinox definitely deserves a special celebration, and they know it better than no one. 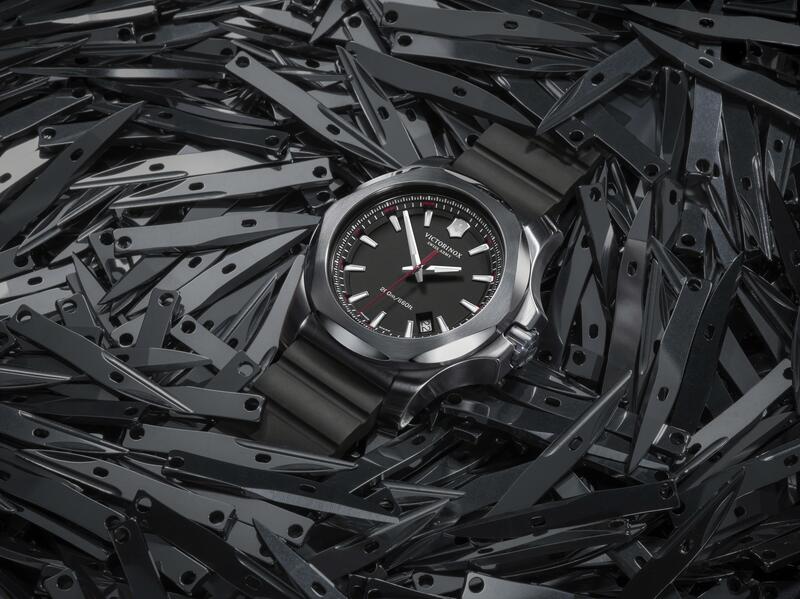 So to celebrate it, they launched a very very special watch - I.N.O.X - a timepiece that echoes the unique values of Victorinox’s signature product, the Swiss Army knife: authentic, robust and reliable in all conditions thus making it a lasting product that pledges quality. The watch commemorates linking of two different crafts by a single philosophy: respect for Swiss know-how and its peerless standards of quality. The watch is named I.N.O.X. as a tribute to the history of Victorinox, because ‘Inox' in French means ‘stainless steel’, an early 20th century invention that was responsible for the development and success of the Swiss Army Knife. Let's look at why the I.N.O.X is a 'Made to last' watch. To start with, the watch has been designed to withstand unusual levels of stress and has passed 130 brutal strength tests with flying colours. Further, the watch is made of solid steel. The watch’s case has been stamped and machined in the metal, creating a protective envelope of unmatchable strength. The dial is a single sealed piece and the indexes are not applied in the usual manner but stamped. The axis and the attachment of the hands are reinforced. The horns are protected against warping and solidified by a crossbar. The crown, too, is protected, as is the crystal by the slightly elevated bezel. Finally, its been reinforced with the original 'bumper' - a removable bumper protector composed of nylon and silicone that matches perfectly with the crown, the case and the back, without disturbing legibility. While being useful and functional, the protector gives the I.N.O.X. its unique look. Designed to withstand unusual vibration, shock and temperature changes, it has been reinforced well beyond the standards of a conventional timepiece. Hence the I.N.O.X. can resist a 10-meter drop onto a concrete surface, have a 64-ton tank drive over it, is guaranteed to maintain a perfect seal underwater to a depth of 200 meters. and resist two hours in a washing machine as well as a sandstorm. It can defy variations in temperature from -51° C to +71 ° C and 12G forces of acceleration and deceleration. I.N.O.X. has also been subjected to attack by corrosive products such as gasoline, solvents, oils, cleaning products and insecticides. Despite the I.N.O.X. being made to last with exceptionally strong characteristics, it still remains a harmoniously designed timepiece - compact and solid yet sleek. The steel has been subtly sculpted and polished to catch the light. The 2014 collection comes not only in black but also in khaki green and navy blue and all versions are equipped with a Swiss made Ronda quartz movement. I have partnered with the advertiser to write this article. When one pairs the term 'Luxury' with 'Cars', the first thing that comes to my mind are German Luxury cars. Why Luxury cars and not just cars(since most cars Germans make are so opulent)? Simply because they mastered the art of making the best cars ages ago, much before any other country, and from then have graduated to becoming proficient in making state-of-the-art Luxury cars too, earlier and better than anyone else in the world. 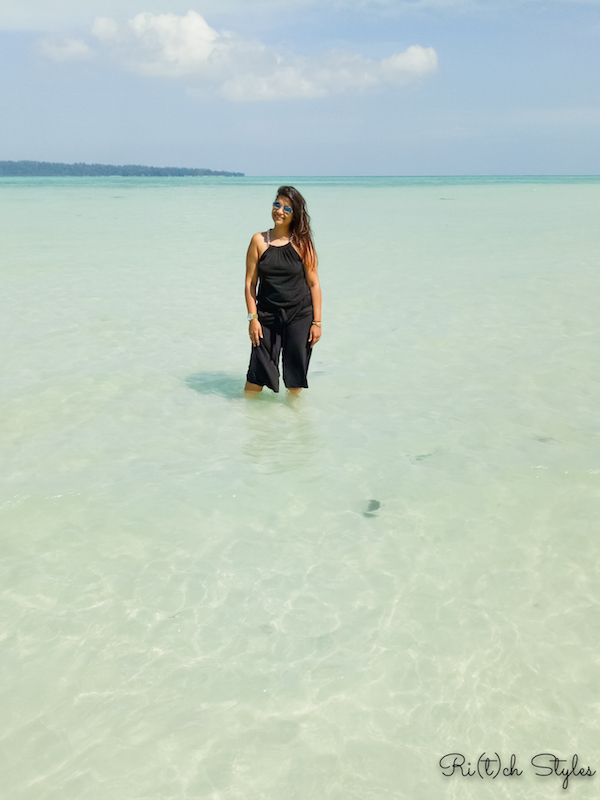 Add to that the term 'Style' and you have the undefeated leader standing right there - Audi - a brand with which Luxury and Style are synonymous. 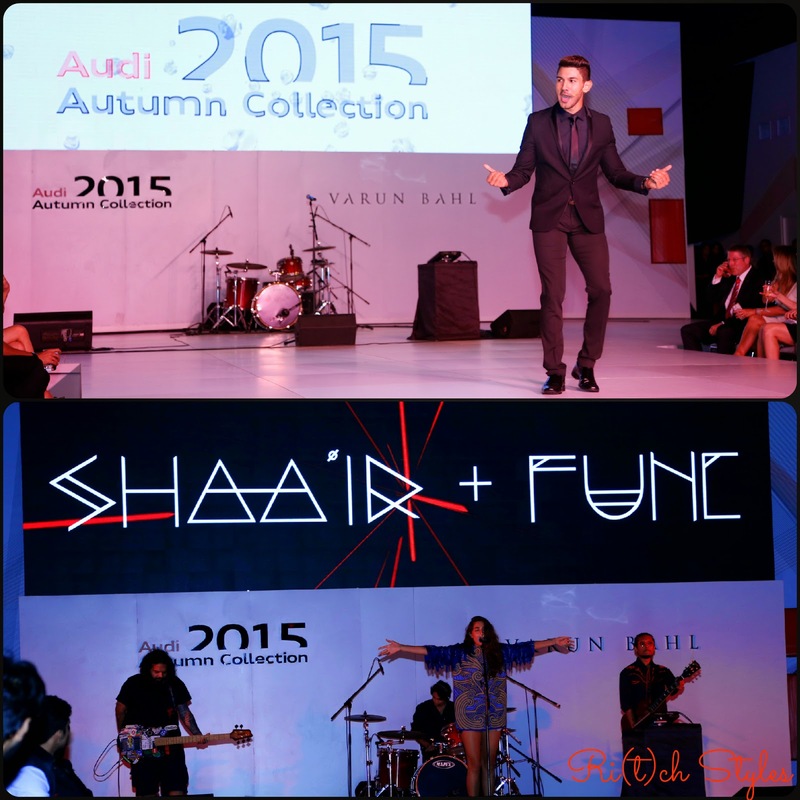 So when Audi invited us to be a part of their Autumn Collection 2015 unveiling, we were delighted to be a part of the extravaganza. A power packed evening, the night kicked off on a high energy note with Jay Jay hosting the launch in his quirkiest best and Monica Dogra of the electro rock duo Shaa'ir and Func belting out some fabulous numbers. What followed was something we hadn't seen earlier, an eclectic mix of luxury cars and couture together on the same ramp! 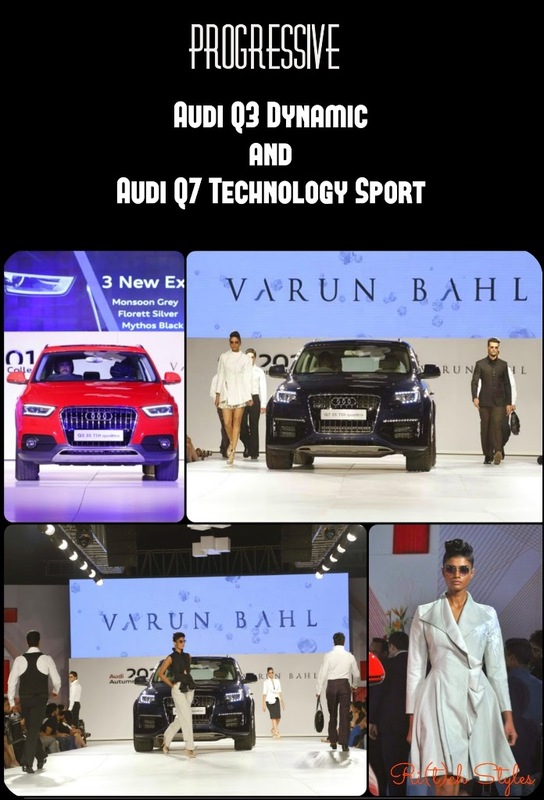 Renowned designer Varun Bahl presented a stunning Audi-inspired collection with cars from the Audi Autumn Collection forming the perfect backdrop. The line-up.that graced the ramp were centered around 3 distinct lines – Sporty, Progressive and Sophisticated. An absolute feast for a connoisseur's eyes! Varun Bahl's designs were an amalgamation of modern silhouettes like jackets, dresses, trousers, skirts, and shirts with contemporary Indian embroideries and hand-done techniques. The jacket was the focus of the 3 lines and was used in different ways - cropped and sheer with logos for the Sporty chic look, structured and ruffled for the Progressive look and very Great Gatsby influenced with rich fabrics like velvet and brocade with sequins for the Sophisticated look. His colour palette was a mix of black, silver, grey, ivory, beige, pink and blue, colours of the coming season. The fabrics used were silk, tulle, cotton, crepe and satin, predominantly materials that Varun Bahl is known for. The most impressive feature of the Audi A3 is that it comes with the MMI® touch which makes handling the car effortless with everything at your fingertips. Its been awarded the World Car of the Year Award for features and technology on the racetrack that far exceed its category. The Audi A4 has been given a sporty makeover with the S line competition kit and the new alloy wheels take its look to a whole new level. The Bang & Olufsen sound system in it is an icing on the cake! The 17-inch alloys of the Audi Q3 stole my heart. Add to that the Xenon plus headlights, it screamt 'Sporty' in every way! And then when the Q7 rolled onto the ramp, it took my breath away. The lower bumper spoilers, dynamic roof line and drawn back headlights radiated a sense of power and authority. What I found really cool in the A6 was the fact that one can adjust the front seat from the rear. The BOSE sound system has been specially developed with 14 speakers for the perfect acoustic experience. For a music maniac like me, this can be the best thing that can happen to a car. 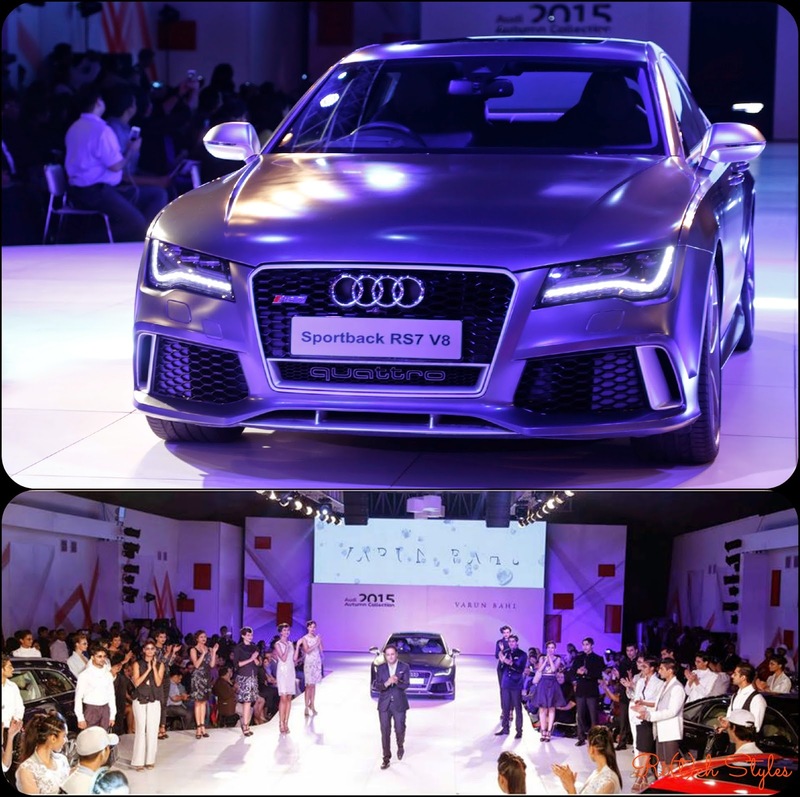 The Audi RS 7 Sportback in a matt finish and embodying its signature honeycomb grille(gorgeous in every way), with designer Varun Bahl in it making a stylish entry, got the wows and the claps from everyone! This I thought was the finale of the spectacular show, but No-Oh-No, look who just came roaring out of the dark - the gorgeous Audi R8 Spyder followed by Joe King, Head, Audi India with Katrina Kaif (a proud Audi owner) - the final showstoppers of the night! The R8 Spyder definitely is one of the most breathtaking cars that I have ever seen in my life. I was surprised to know that the hood if closed, can be opened easily up to a speed of 50 km/h at the touch of a button – fully automatically in just 19 seconds. Mr. Joe King, Head, Audi India summed up the launch perfectly for us, “Luxury and style are synonymous with the Audi brand. Our connection with fashion is therefore logical and natural. Fashion is all about being on the cutting edge. 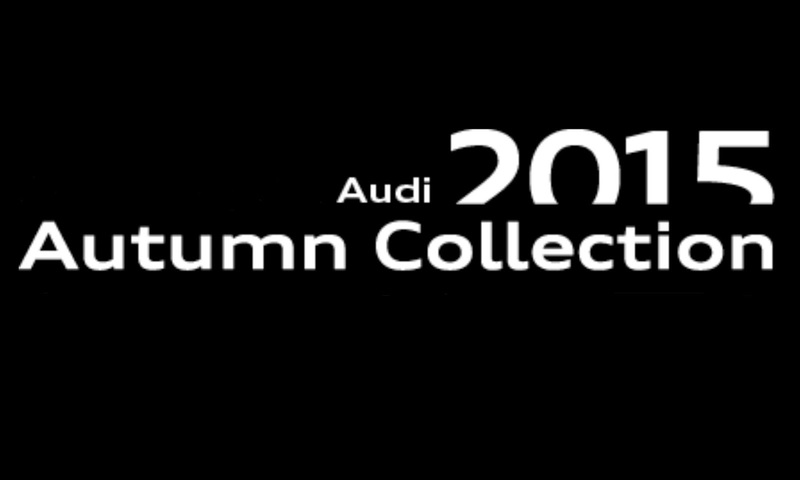 With the Audi 2015 Autumn Collection we are putting our best fashionable foot forward. 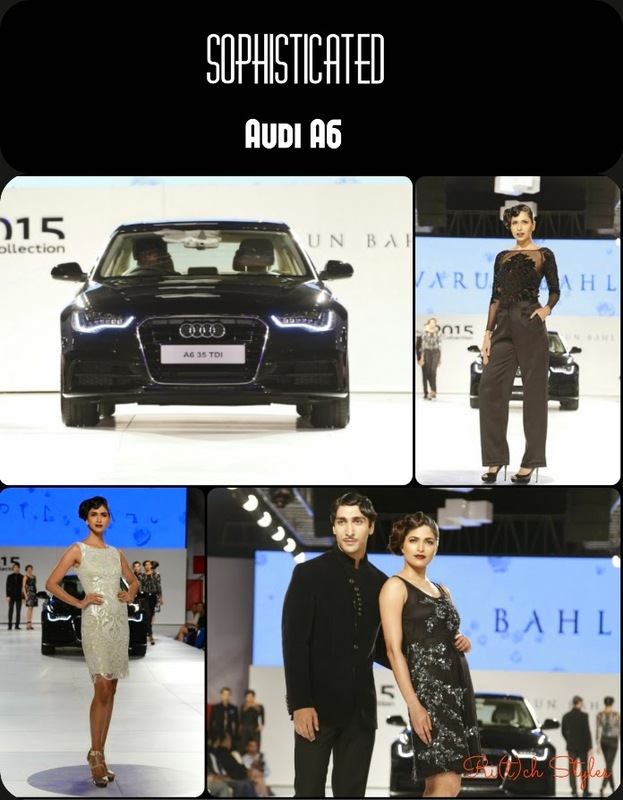 Varun Bahl’s breath-taking designs, inspired by our cars perfectly complement our stunning Autumn Collection. As the number one luxury car brand in India, it has been our constant endeavor to introduce exciting cars that set new standards in sportiness, progressiveness and sophistication. The Audi 2015 Autumn Collection is a celebration of these core values and reinforces our philosophy ‘Vorsprung durch Technik’." MAX Women's Day Out may be over for the month at the moment but everyone I know who attended it, is looking forward to the next round. I hope you ladies made the most of it on 10th September after my previous post on it. If you didn't, then you missed out on some really awesome pampering, mainly their 'Makeovers' and the fiesta that it was for the ladies! For those of you who are reading about this for the first time, check out this video to know what all Max had in store for its ladies! Women who participated in the activities had the current collection to choose from for their makeovers. The current collection comprises of the Autumn’14 collection, a prelude to the festive season. The Folklore range witnesses a fusion of culture and tradition through folkloric prints and patterns. Earthy accents in cross stitch embroideries and paisley motifs, create the Boho Autumn look. Printed leggings, border printed tops and placement graphics, merge historical techniques and aesthetics with a modern twist. A key ingredient in the season’s fashion delicacy is Monochromes. Wear luxurious soft, silky polyester crepes and georgettes over printed satin stretch pants for the solid or pattern clash look. The ethnic Tavisha range created quite a buzz with its extensive offerings. Right from contemporary sets in bright and light prints enhanced with embroideries to a special red and white collection to brighten up your Durga puja, using blends of block prints and embroideries along with cuts ranging from an Anarkali to A-line, it has the works. You can also see the existence of themes such as baroque sentiments and colour block. If you have experienced the Max Women's Day Out, we would love to hear your experience and if you haven't, make sure that the next time I tell you about it, you definitely go! and all of daddy's charm. Life can't be more perfect than it is at the moment. 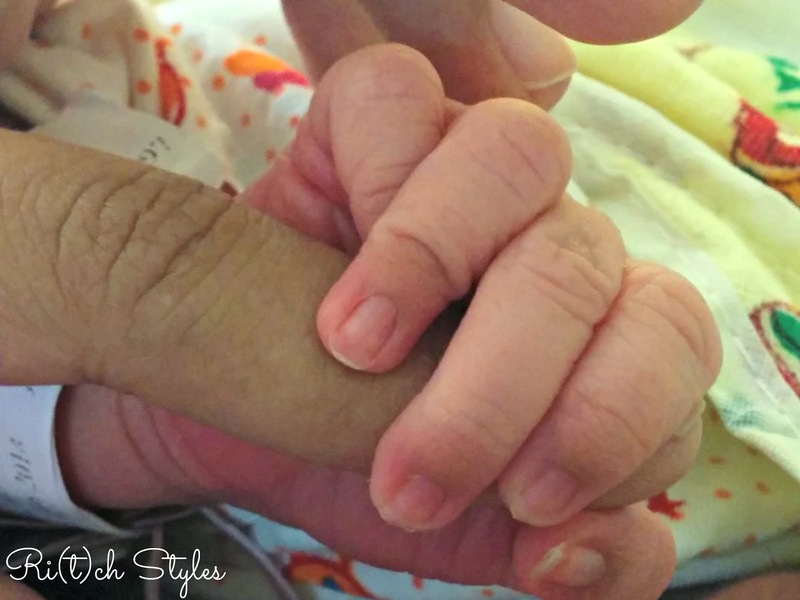 We are extremely happy on the addition of this tiny and fashionable new member to the Ri(t)ch Styles team! 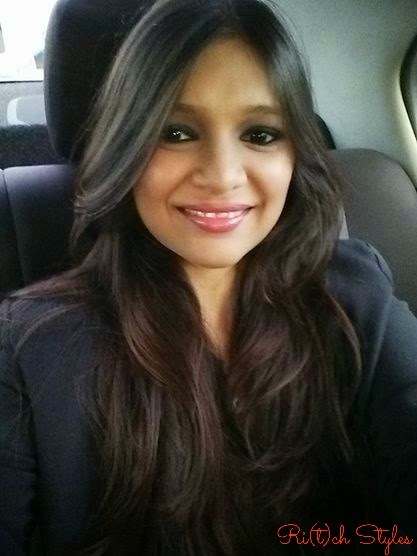 Thank you so much for your best wishes,blessings and love all the way.